Q: What is required to be eligible for the CAUV reduction? 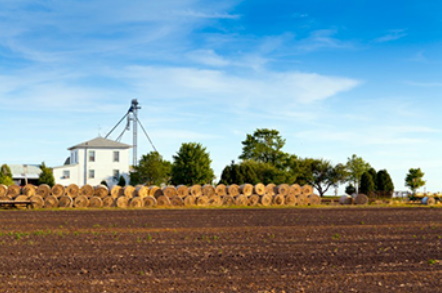 Any tract of agricultural land, 10 acres or more, which has been in commercial agricultural use for the last 3 years is eligible. A smaller tract may be included under this section if the tract produced an average gross income of $2,500 or more from sales of agricultural products during the previous three years and if there is anticipated gross income of such amount. The tract of land must be devoted exclusively to commercial agricultural use. Q: How much will it reduce my taxes? The actual reductions are dependent on the current agricultural use value (CAUV) which is placed upon the land. Major factors affecting the value are soil type, soil region and land capability class. Agricultural commodity prices also enter into the CAUV value. These values are set by the State and vary according to soil type. The resulting CAUV value replaces the appraised market value. Tax value is set at 35% of the CAUV value. The CAUV values are readjusted on a three year cycle by the State Tax Commissioner to account for changing agricultural production costs and commodity. There is a $25.00 initial fee. No charge for annual renewals. Any time after the first Monday in January and prior to the first Monday in March of any year. Apply at the Trumbull County Auditor's Office. Yes. The owner must file a renewal application each year to continue the reduction. A blank renewal application will be mailed from the auditor's office in January of each year. Q: What happens if I don't reapply? There is a recoupment penalty equal to the tax savings for the past 3years if land use changes to nonagricultural use or if there is a failure to reapply.